Hello, friends and welcome to Comfort Food Cuffing Season. It’s time to find the dish you’ll spend the next couple months obsessing over. However you spend your winter months, we can all agree that it’s made so much better with comfort food. Comfort food differs for everyone but there is a common theme of warm, welcoming food that (usually) features cheese and makes you want to nap afterward because, hibernation. And I believe that comfort food doesn’t have to be expensive so everything on this list is $15 or less. Dig in and don’t forget the napkins. 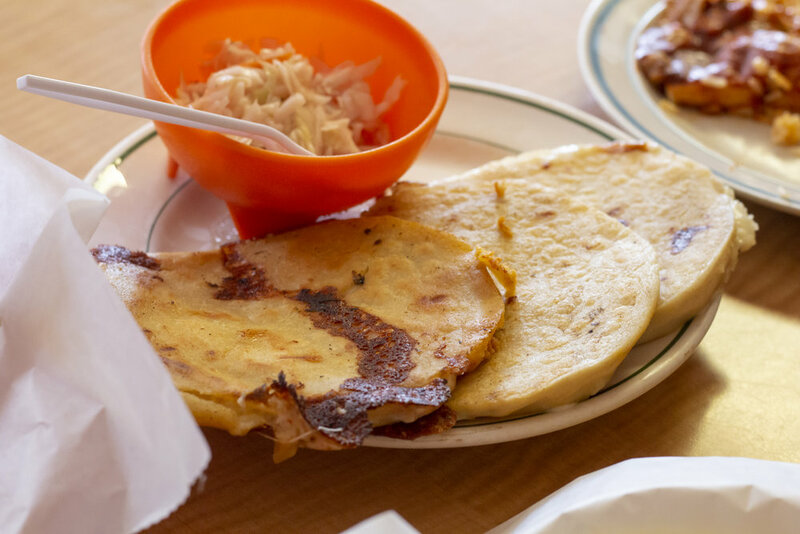 It’s hard to explain a pupusa to someone who has never had them. They’re thick corn tortillas that are stuffed with a savory filling. They’re more like savory pancakes than quesadillas so yes, you can have them for breakfast. I personally think pupusas are best just stuffed with cheese but Anita’s offers pupusas stuffed with beans, pork, and loroco, which is a plant similar to squash. You will get a small ramekin of pickled slaw and you will definitely want to eat your pupusas with it. Photo courtesy of Bread & Butter Concepts. This dish is perfect for those who are on Team My Food Can Touch and seriously perfect for those who are Team Brunching While Hungover. The Mac & Cheese Breakfast hits the brunch jackpot with creamy macaroni & cheese mixed with sausage, topped with crispy hashbrowns and then topped with fried eggs. Add some Tabasco and pencil in your next nap. I’m biased in the fact that Columbus Park Ramen is my favorite restaurant in town, but with a selection of pickled veggies, perfectly marinated proteins (meat & non-meat, yo), and fresh ramen noodles, then you really can’t blame me. The cozy Tonkotsu ramen features pork shoulder, pickled squash, seasonal veggies, and an “intensely rich 30-hour pork broth.” Yeah. 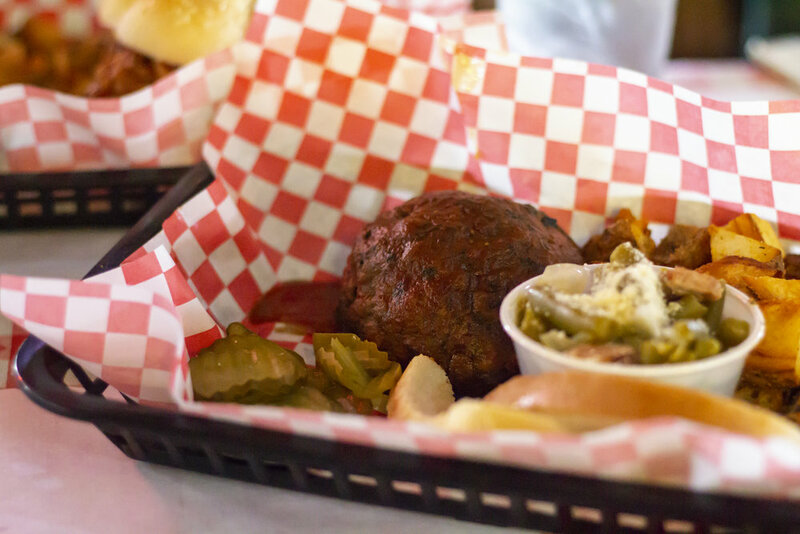 If you like spice, order it with a chili bomb. And if you like cozy food, go to Columbus Park Ramen. This can’t be a comfort food list without a great chicken dish. Enter Brookside Poultry Company’s Chicken Tenders. First, all of their fried chicken dishes are brined in sour cream for 48 hours, which is the same thing I do to prepare my body for winter. Second, the chicken tenders are served with fried jalapeno slices and cabbage, which adds another layer of crispiness, and tangy hot sauce. Make the tenders a meal with cheesy potatoes or add a side of cheddar biscuits and fried green tomatoes.